Gone are the days of throwing all your photos, videos, music and whatsnots in a ‘free’ public cloud storage (think Google Drive and Dropbox); personal cloud storage (aka network attached storage (NAS) device) is the next big thing, and it is here to stay. With a NAS device connected to your router at home, the storage space in your cloud server will now be available to every computer on the network. Picking your first, affordableNAS device from the huge array of choices in the market may be tough, but with this guide of ours, shopping for one will be a breeze. Now say hello to having ALL your files in a single, secured cloud that follows you wherever you go, and goodbye to all that annual fees and lack of security and control that comes with public cloud storages! If you are looking for an affordable, powerful personal cloud that combines data-backups and sharing, media-streaming, all-in-one, WD My Cloud is your answer. With data transfer speed comparable to that of a much higher-end NAS server, allowing multiple network users to backup as well as stream media at the same time, My Cloud is a steal! Aside from winning us over with speed, its ease of setup and use is another plus point. Plug it to the power, connect its network port to a router, and viola, it is ready for use. Be sure to also include your mobile devices in the loop by creating an online account for each NAS server user at WDMyCloud.com, and downloading the My Cloud mobile app for easy access to your cloud anywhere, everywhere. 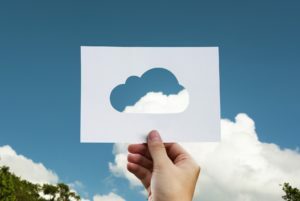 The account with WDMyCloud.com is great for users on the go as it creates a VPN-like connection that would allow them to drag and drop files as though theyare on the local network at home. And if your budget allows for something even better, do consider the Western Digital My Cloud EX2 – a step up from My Cloud, and one of the most affordable dual-bay servers in the market. Whether you pick the My Cloud EX2 for the additional hard drive that allows you to store your content on one drive, and automatically duplicate itself onto the second drive, or just My Cloud for a simple, powerful (and very affordable) NAS server, this WD series will not fail you. Prices for WD My Cloud starts from approximately $150 (2TB) to $380 (8TB). LaCie CloudBox’s stylish, white boxy looks and its ease of setup makes it one of the most popular NAS device in the market. Using a simple two-step setting up process that allows users to first, simply plug the LaCie CloudBox into a power outlet and secondly, connect the Ethernet cable to a router, and it is ready to be connected with all the devices on the local network without any further software installations – easy-peasy! On top of their quick and easy setup, CloudBox further stands out with its media streaming compatibilities. Not only can it stream the usual (Digital Living Network Alliance)DLNA-compatible products, it can also do the same for iTunes, Windows Media Server and Universal Plug and Play (uPnP) ones. It is indeed playback made easy on the CloudBox. While plus points are aplenty, LaCie CloudBox also has a minus point – it only has an iOS app for mobile devices. That means, mobile users of Android or Linux-based operating systems need not apply. Prices for LaCie CloudBox starts from approximately $140 (2TB) to $200 (4TB). Plug and connect to the power outlet and router respectively, download Seagate Dashboard software, and you are ready to protect (aka backup), share and save. ‘Save’ may be the one unique factor that sets the Central apart from the rest in the market for it allows the backing up of digital content that you have put up on social sites such as Facebook. You may now back up your Facebook profile photos with a click of a button – how simple can it get? In addition, media streaming is both easy locally and over another network. Just download the relavent mobile apps, Samsung Smart TV app (no third party device needed!) or an DLNA-compatible media player and you are ready to playback any photos, videos or music on the go! Best of all, Seagate Central supports all major iOS and Android devices, Blu-ray players, Amazon Kindle HD, as well as the Apple AirPlay, which means users can upload and download files from anywhere using the Central Remote Access Service! Prices for Seagate Central starts at approximately $160 (2TB) to $220 (4TB).